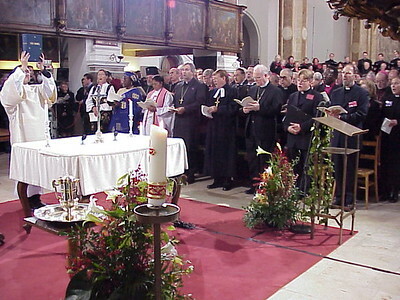 The Oct. 31 special service celebrating the signing of the Joint Declaration on the Doctrine of Justification started at the Roman Catholic cathedral in Augsburg, Germany. Bishop Walter Kasper, secretary, Pontifical Council for Promoting Christian Unity, and the Rev. 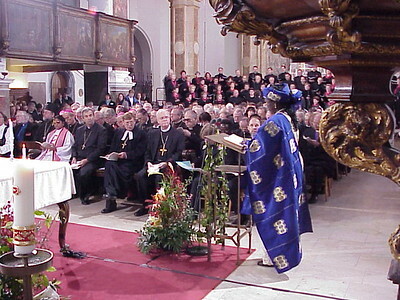 Ishmael Noko, general secretary of the Lutheran World Federation (LWF), Geneva, Switzerland, opened the worship service at the cathedral. 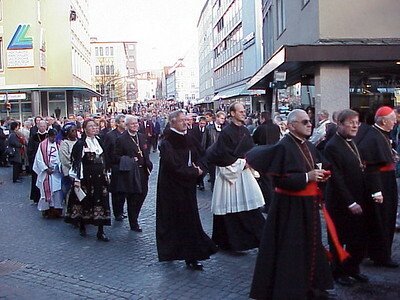 Participants in the Oct. 31 service process from the cathedral through the streets of Augsburg to St. Annas (Lutheran) Church. 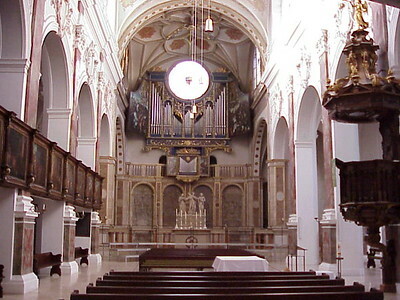 Vice presidents of the LWF were seated in the front row on the right side of the altar at St. Annas. They are, left to right, the Rev. 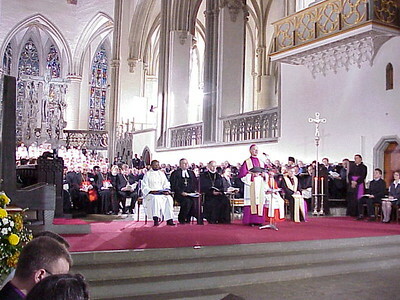 Prasanna Kumari, executive secretary, United Evangelical Lutheran Church in India (wearing purple stole); Bishop Julius Filo, Evangelical Church of the Augsburg Confession in the Slovak Republic; the Rev. Huberto Kirchheim, president, Evangelical Church of the Lutheran Confession in Brazil; the Rev. H. George Anderson, presiding bishop of the ELCA; Parmata Abasu Ishaya, lay member, Lutheran Church of Christ in Nigeria (reading lesson). 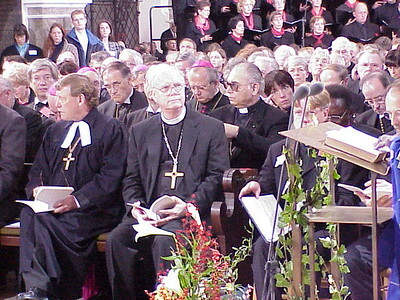 ELCA Bishop Anderson listens as the lessons are read at the Oct. 31 service at St. Anna's. Vice presidents of the LWF listen as the Gospel is presented. With the vice presidents, left of Ishaya and behind the altar's crucifix is Dr. Sigrun Mogedal, LWF treasurer, lay member, Church of Norway. On the left side of the altar at the Oct. 31 service were four primary signers of the Joint Declaration. 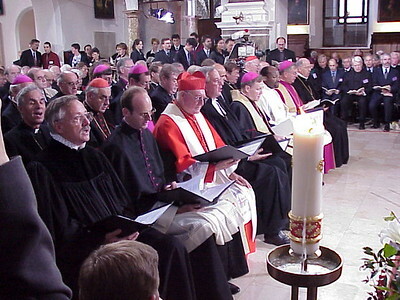 They are, left to right, Cardinal Edward Idris Cassidy, president, Pontifical Council for Promoting Christian Unity (in red); the Rev. 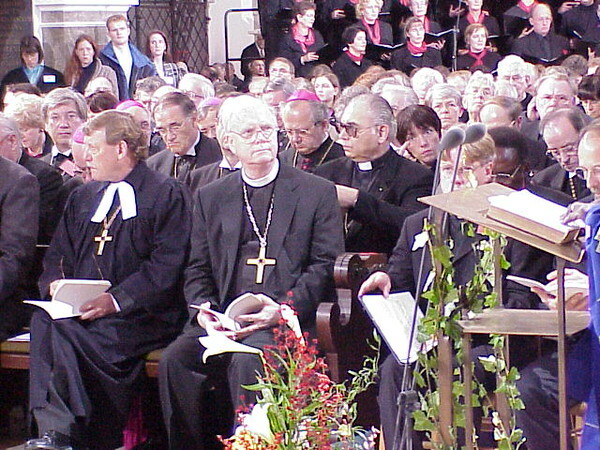 Christian Krause, LWF president and bishop of the Evangelical Lutheran Church in Brunswick, Germany; Bishop Kasper; General Secretary Noko. Two sets of documents were presented for signing at the ceremony. One set is for the LWF and the other is for the Vatican. 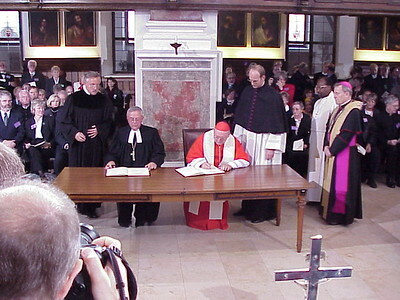 The first to sign were President Krause, left, and Cardinal Cassidy. The next to sign the Joint Declaration were General Secretary Noko, left, and Bishop Kasper. 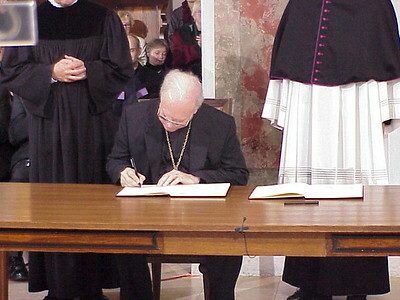 Bishop Anderson signs the Joint Declaration. 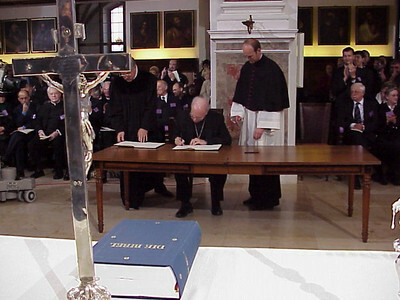 He was the last of the LWF vice presidents to sign the document. While Bishop Anderson signed the Joint Declaration, the congregation applauded continuously while all signed the document after Noko and Kasper. 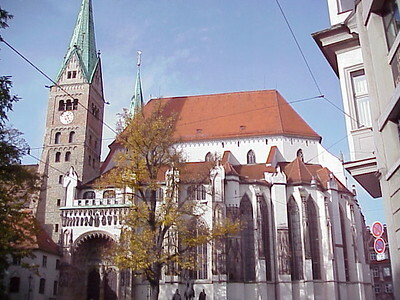 St. Anna's (Lutheran) church, as seen from Martin Luther Platz, is an historic site in Augsburg.